Summary: A new study reveals older adults can generate just as many new hippocampal neurons from progentior cells as young people. The findings confirm neurogenesis does occur in older individuals. There has been controversy over whether adult humans grow new neurons, and some research has previously suggested that the adult brain was hard-wired and that adults did not grow new neurons. This study, to appear in the journal Cell Stem Cell on April 5, counters that notion. Lead author Maura Boldrini, associate professor of neurobiology at Columbia University, says the findings may suggest that many senior citizens remain more cognitively and emotionally intact than commonly believed..
Funding: This work was supported by the Stroud Center for Aging Studies at Columbia University, the National Institutes of Health, the American Foundation for Suicide Prevention, the New York Stem Cell Initiative and the Diane Goldberg Foundation. Original Research: Open access research for “Human Hippocampal Neurogenesis Persists throughout Aging” by Maura Boldrini, Camille A. Fulmore, Alexandria N. Tartt, Laika R. Simeon, Ina Pavlova, Verica Poposka, Gorazd B. Rosoklija, Aleksandar Stankov, Victoria Arango, Andrew J. Dwork, René Hen, and J. John Mann in Cell Stem Cell. Published April 5 2018. 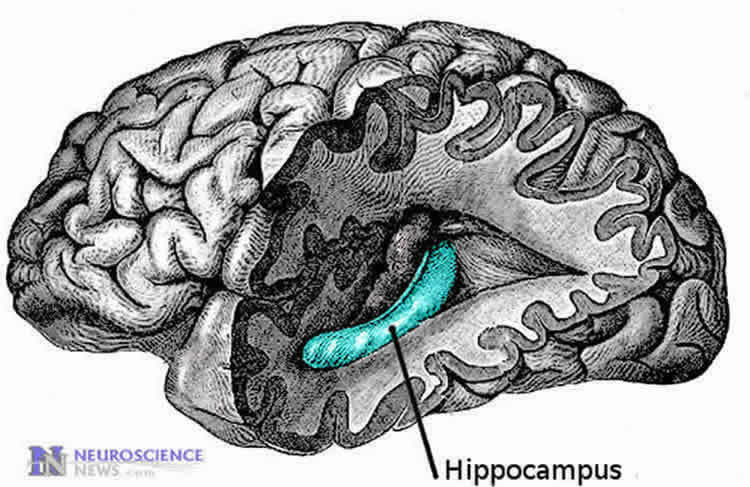 Cell Press “Older Adults Grow Just As Many New Brain Cells As Young People.” NeuroscienceNews. NeuroscienceNews, 6 April 2018. Cell Press “Older Adults Grow Just As Many New Brain Cells As Young People.” http://neurosciencenews.com/neurogenesis-aging-8733/ (accessed April 6, 2018). Body decays and brain slows down not with the passage of time but when the auto renewal process is vitiated. And the auto renewal process is vitiated when brain is not interested (or less interested) in actual functioning, in actual usage, in actual interaction, with possessions, relations, situations, ideas but in seeking stable relief through them or becomes complacent in respect of possessions, relations and so on. It escapes the uneasiness of disturbing the complacency. This escaping conceals the friction (it is uneasiness for the present brain), which is the basis of auto renewal. Becoming aware of this is attunement to the inexhaustible energy, the Original. There is renewal every moment. Brain experiences it as friction from moment to moment. The illusion makes one wait for the frictionless state. Friction is experienced as pain, uncertainty, pleasure. To be comfortable with friction (without any idea, explanation) is one’s attunement to supreme relaxation. You guys have got to tell me that neurogenesis is real for adults..! i need more intelligence! lots of it! i need more memory! i’ve been reading articles telling me that there is no material proof whether neurogenesis in adults exists or not and all research towards that effort is sham because the techniques and technology aren’t good enough. What is going on!? I can’t find anything proving neurogenesis is a fact for adults. A universal fact like 1+1=2 and everybody agrees. So how do we reverse reduced cognitive-emotional resilience in old age caused by this smaller pool of neural stem cells, decline in vascularization, and reduced cell-to-cell connectivity within the hippocampus?